Gary Clancy, a man who lived every day like it was his last, died Wednesday afternoon, July 27, 2016 after a lengthy battle with cancer. He was 68. In hospice care at his High Forest, Minn., residence, Gary was surrounded by his wife and three daughters who sang and prayed by his side. “That’s the only way a man should go,” said his son-in-law Lee Clancy on Thursday. 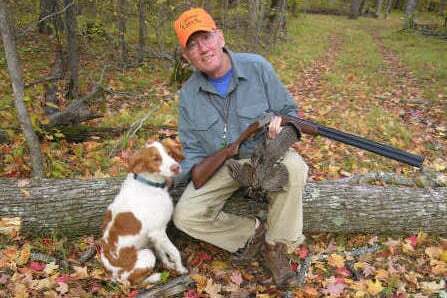 Writing in Outdoor News and other publications, Gary Clancy happily shared his family’s vigorous hunting and fishing lifestyle with readers in Minnesota and across the country for more than two decades. He frequently greeted readers at events like Game Fair and met with hunters and anglers of all ages at seminars and book signings around the country. A Vietnam veteran, Clancy served in the U.S. Army, then returned home to Minnesota where he eventually embarked on an outdoor writing career. He sold his first article to Fins and Feathers magazine in 1980 and became a regular columnist in Outdoor News in the mid to late 1990s. Doctors attributed his nearly two-decade-long battle with Non-Hodgkin’s Lymphoma at least partially to his exposure to Agent Orange during his 1969-70 tour of Vietnam. Clancy and his wife of 44 years, Nancy, raised three daughters in the Rochester area, Michelle, Kelli, and Katie, along with four grandkids – Norah, Miles, Lucas, and Leo. Gary also is mourned by two sons-in-law, Lee and Michael, and many family members and friends. Outdoor News wishes to express its condolences to Nancy and the entire Clancy family, as well as to the hundreds of thousands of readers his writing has touched over the years. Gary L. Clancy (“Clancy”) died at his home on July 27, 2016 after a brave 12-year struggle with Non-Hodgkin’s Lymphoma. He was lovingly cared for by his family and friends under the direction of Seasons Hospice. Gary was born in Redwood Falls, Minn. on June 17, 1948 to Evelyn (Uhlenkamp) and Roy Clancy. He grew up in Albert Lea, Minn. Gary graduated from Albert Lea High School in 1966 and then attended Austin Jr. College, Mankato State University, and Rochester Jr. College studying journalism. He enlisted into the Army on Dec. 30, 1968. He served in Vietnam with both the 1st Infantry Division (better known as “The Big Red 1”) and with the 198th Light Infantry Brigade from June 7, 1969 until August 1, 1970 when he was safely back home. He married Nancy D. Boughten on June 10, 1972. They celebrated 44 years of marriage this year. The couple lived in Albert Lea, Byron, and High Forest, Minn. During their marriage they welcomed three daughters (Michelle Marie, Kelli Jo, and Katie Elizabeth) and later, four grandchildren. Gary was fortunate to pair his love of the outdoors with his skill in writing. 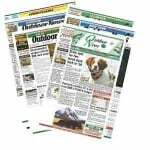 He made a wonderful career as a prolific outdoor writer, sharing his love of the outdoors, his family, and his life through thousands of weekly articles for the Minnesota Outdoor News as well as in the Rochester Post Bulletin. He wrote for numerous national publications and authored eight books. He was devoted to his Catholic faith. He was admired for the love he gave easily to his family. His infectious positivity, approachable and humble personality and awesome laughter will be fondly remembered and missed. He was an active member of A.A. for 37 years and celebrated 37 years of continued sobriety. His home groups were “Tradition 3” and “The 3rd Ave Thursday Morning Men’s Group.” He enjoyed many hours on the golf course with his Soldiers Field golf group. Fishing the lakes and rivers of Minnesota was second only to his love of the white-tailed deer. He was preceded in death by his parents, an infant brother Jeffrey and his brother Michael D. Clancy. Survivors include his loving wife, Nancy; three daughters Michelle Clancy (Michael Brown) of Cedar Falls, Iowa, Kelli Clancy of Robbinsdale, Minn., and Katie Clancy (Lee Clancy) of Zumbrota, Minn; three grandsons and one granddaughter – Lucas and Leo (Michelle) and Miles and Norah (Kelli); many friends and family, and of course, his loyal hunting dog, Recon. Visitation will be at Ranfranz and Vine Funeral Home (5421 Royal Place N.W. in Rochester, Minn.) on Sunday, July 31 from 4-7 p.m.
Funeral will be held at The Church of St. John the Evangelist in Rochester, Minn. (11 Fourth Ave SW) on Monday, August 1 at 10:30 a.m.
Interment at the Minnesota State Veterans Cemetery-Preston (715 Highway 52), on Monday, August 1 at 3 p.m. In lieu of traditional flower bouquets, the family would appreciate “fresh from your garden” bouquets. In lieu of flowers, please consider a donation in Gary’s name to: Pheasants Forever, The School of South Sudan, or Seasons Hospice.